Moonstone is a gem found mainly in Shri Lanka, Myanmar, India, and Madagascar. It is known to calm your emotions without you having to repress them. Useful for people who keep things bottled up inside to protect themselves, it helps us be in touch with emotions that we are sometimes scared to acknowledge. Said to enhance our feminine side, Moonstone brings us in touch with our intuition, gentleness, and compassion. That does not mean that Moonstone is only useful for women. All men have feminine aspects to them, yet some men are afraid to reveal this, thinking that it will diminish their masculine identity. Moonstone helps them to embrace and control their feminine aspects. Moonstone is also believed to aid in matters of love and fertility. It is used to aid fertility and child birth, and to regulate the menstrual cycle. Its power is strongest during a full moon. In some cultures it is believed to bring new love into your life, or to reunite lovers after a quarrel. Perhaps Moonstone's ability to balance the emotional and the rational is the source of this power. If you feel that you are too withdrawn and it is harming your relationships, maybe moonstone would be a great gem stone for you. 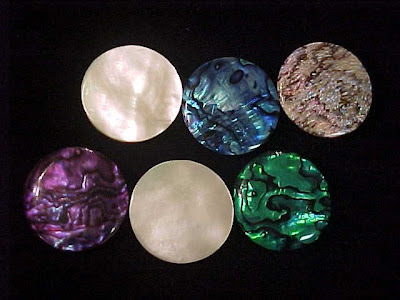 Other names for this stone are water opal, fish-eye, and wolf's-eye. 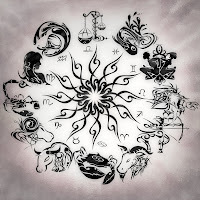 Long considered to have inherent connections to the moon by all ancient cultures familiar with the stone, it was used during the waxing of the moon for love charms and during the waning of the moon to foretell the future. The moonstone in India is quite a sacred stone, it is only permitted to be displayed on a yellow cloth. In this culture they called the moonstone Candra Kanta, and it is told that moonlight from a full moon gives the gemstone occult and magical powers. 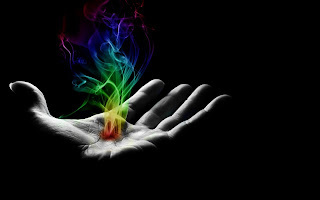 It is believed to bring much good fortune and allows one to see the future. To dream of moonstone means travel and good health, but may also symbolize the unfolding of spiritual and psychic development. Mohs Hardness of 6 with a mono-clinic crystal structure. Moonstone is the opalescent variety of Orthoclase, which is an alkai feldspar, with a blue or white sheen, referred to as a "schiller", rather like the shine of the moon, hence it's name. The sheen is created by the reflection of light from the internal structure of layers. The layers are thin albite that give the attractive blue, while thicker layers feldspar produce the white color. It's most amazing, and much like the moon! Moonstone from Shri Lanka, the classical country of origin for Moonstone, shimmers pale blue on almost transparent ground, it's magical! Specimens from India show cloud like plays of light and shade on beige brown, green, orange or simple brown background. These subdued colors in combination with the fine shine make Moonstone an ideal gemstone for jewelry with a sensuous and feminine character. This gemstone was once before extremely popular, about a hundred years ago in the times of Art Nouveau. It used to decorate a striking number of pieces of jewelry pieces created by the famous French Master Goldsmith René Lalique and by his contemporaries. These pieces are usually only found in a museum or in collections nowadays. Vibrating with the feminine wisdom and Goddess energy of the waxing and full Moon, moonstone has a reflective, calming energy. It helps to strengthen intuition and psychic perception and brings balance and harmony with the All. It is said to have the power to grant wishes. Moonstone Honors the Goddess in all women. It aids in dieting, gardening, psychic awareness and meditation. It soothes stress, anxiety, women's hormones it enhances intuitive sensitivity via feelings and less overwhelmed by personal feelings. Greater flexibility and flow with life. Helps all be more comfortable with our gentler feminine/yin receiving side. Especially for water signs. 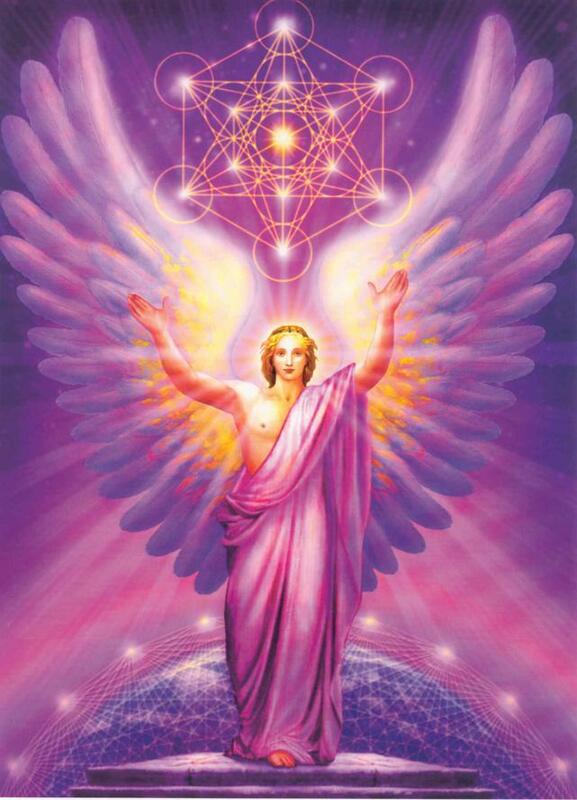 Helps one be more conscious of the fact that all things are part of a cycle of constant change. It is a recommended gemstone for farmers and gardeners, artists, dancers and young men. Peach or Apricot Moonstone A wonderful stone of soothing, feminine energy. Calming and brightening the emotions and it helps to improve the wearer's self-image. It reminds us of our own worth and divinity. It invokes sensuality and gentle passion. The color reminds of the enchanted feeling when the Full Moon is huge and orange and low on the horizon. Rainbow Moonstone Vibrating with the feminine wisdom and Goddess energy of the waxing and full Moon, has a reflective, calming energy. 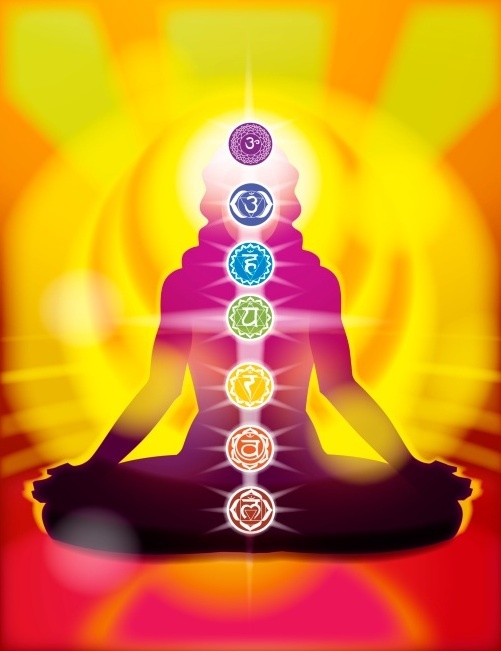 It helps to strengthen intuition and psychic perception and brings balance and harmony with the All. The Rainbow effect invokes a spectrum of light, and feels cleansing and uplifting. Silver Grey Moonstone Invoking the reflective, intuitive power and Goddess energy of the waning moon, this silver-grey stone eases frustrations and lends a greater ability ability to flow and move in harmony natural tides of life. The Moonstone is said to assist with female issues and with childbirth. By unblocking the lymphatic system, it can heal and balance the stomach, pancreas, and pituitary gland. It can reduce swelling and excess body fluid. Placed under the pillow it will allow for a more peaceful sleep, and is often used as a cure for insomnia, and used along with the amethyst. Moonstone is also used as a stand in for pearl, when pearl is not available. 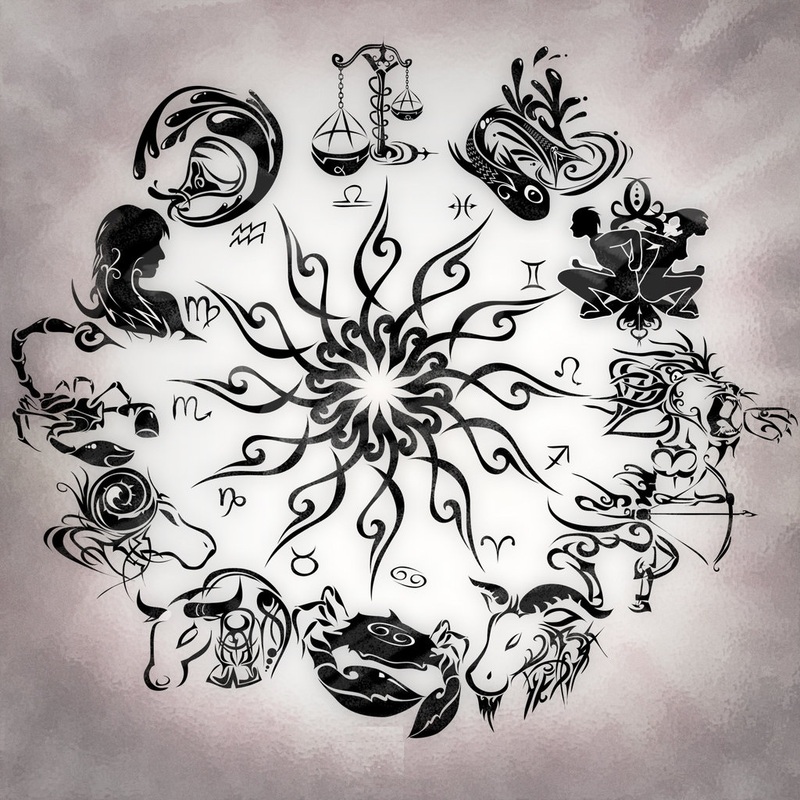 Powers: Love, divination, sleep, gardening, protection, youth, dieting, psychic abilities. Moonstone is receptive and love-drawing. This wonderful gemstone is also gently protective. Each individual must work with the moonstone to see if it works better during the waxing or waning moon for themselves or the type of divination one is doing. The moonstone is said to change it's luster with the phases of the moon, being brighter of the waxing for full moon and darker on the waning or the new moon. Gives wealth and the gift of prophecy, helps one connect with the feminine side of one's nature as well as with the Goddess. It works wonders when matched with garnet, it reveals the truth behind illusions and will help to unmask hidden or secret enemies. This gemstone enhances the psychic, so it may help to keep a piece with divinatory tools. 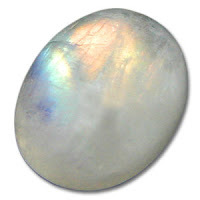 For true seekers of higher spiritual development and wisdom, moonstone will open the gateway to the subconscious; at the same time it will not permit entrance by any who are not ready for the experience. Helps with making communication with your guides easier. If you are a sensitive individual, please to avoid contact with moonstone during the time of the full moon, as you can become so open to the psychic and other realms of being that it can be quite unnerving. Wear this stone when giving divination and reading, though be prepared to receive secret information that the person might not want discussed at any time. Moonstone has a positive influence on Cancer while a bluish moonstone is more effective for Pisces. Because of the way it travels thru the Zodiac, Moonstone is also considered a protective stone while traveling, especially at night or on the water. 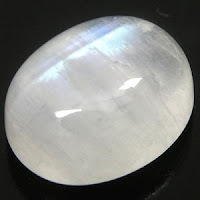 Moonstone is most beneficial on the 2nd, or Sacral/Navel Chakra, for most, but it also connects 2nd, or Sacral/Navel Chakra and 6th, or Third Eye/Brow Chakra for emotional balance and gracefulness. 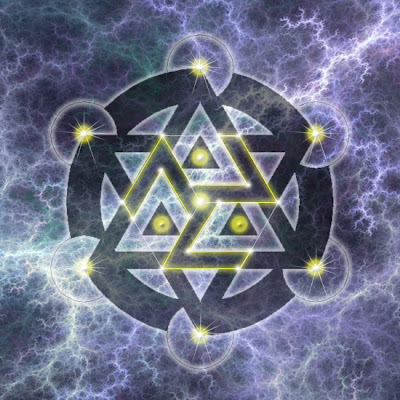 It is, as well, used to balance the 4th, or Heart Chakra, in helping us discern what we want and what we need...as they do not come from the same place. Moonstone can assist you in absorbing those necessary things in life, while helping you discern what is merely wanted. Moonstone will help achieve a balance between heart and mind without losing the gentleness and caring needed, yet keep the emotions in check to allow you to function properly. Do Gemstones really have meaning?